MKR contestants Lyn and Sal with their winning biscuits in Coles. COLES will spend up to $150 million over the next four years to double its home delivery capacity after signing a deal to use tech from UK online supermarket Ocado. Coles will pay Ocado to install and maintain equipment within new automated customer fulfilment centres outside Sydney and Melbourne, and to use its software. 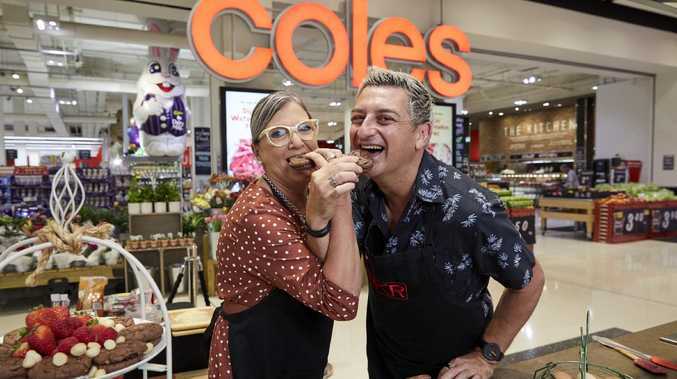 The centres will be built and Coles' migration to Ocado's online platform complete by the end of the 2023 financial year, which Coles said would improve product range, availability and freshness for online customers - and improve profit margin. "The partnership provides a unique opportunity for Coles to deliver a best-in- class customer experience," Coles said in a statement on Tuesday. "Coles will be better able to meet the increasing demands of its customers as it increases network capacity at a lower cost to serve." Customers outside of metropolitan Melbourne and Sydney will use the Ocado site, but orders will still be fulfilled by the existing store-based network. The deal with Coles is similar to that Ocado has with Morrisons, the UK's fourth largest supermarket. London-listed Ocado does not own any stores but operates under its own brand and those of other retailers including Marks and Spencer in Britain and US supermarket giant Kroger.